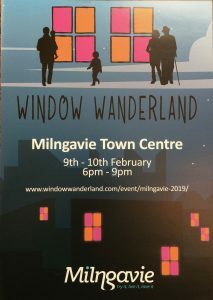 St Andrew’s participated in Milngavie Winter Wanderland which lit up the village, displaying colourful & clever stained-glass inspired scenes in the windows of shops, businesses, churches and even some homes. 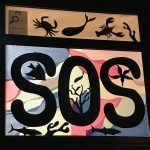 Members of our church designed an environmental theme focusing on caring for our seas, (SOS- perhaps more than one interpretation?) 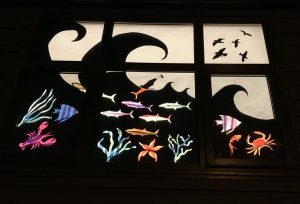 on the 5 large windows of the hall. 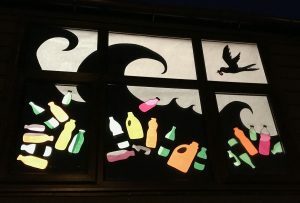 Mark, Gail, Caroline and Liz worked at this amazingly effective project, with silouettes of sea creatures, birds and large waves with one window showing the plastic bottles that pollute our oceans. 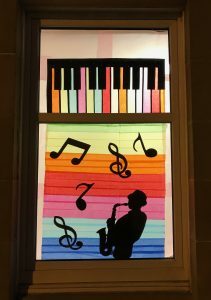 Displays at Haydock’s Music shop, Driftwood and Ruby Red, all linked with members of our congregation, were also eyecatchingly effective. 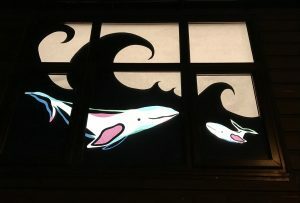 lighting up the windows from the outside as we drank our coffee after the service. 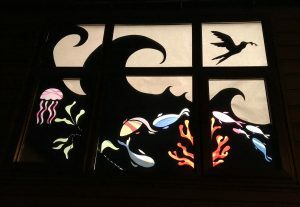 A little repair work was done and the decision was made to leave the displays up for the following week. After all the work that went in their creation, it’s a shame that it has to come down. 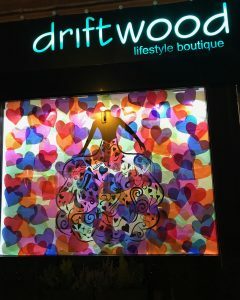 Appreciation goes to all who participated in this event, creatively lighting up a dark Winter weekend.